Asia will host a Formula 3 championship fully certified by the sport’s world governing body, the Fédération International de l’Automobile (FIA), this season. The announcement of the F3 Asian Championship Certified by FIA, which adopts the federation’s ground-breaking new single chassis, single engine concept, is an exciting new development for a category which has produced some of the greatest names in motorsport. Beginning this summer with an official test on July 9 and 10, the inaugural F3 regional Asian championship calendar includes 15 races – three at each of the five rounds – at Malaysia’s Sepang International Circuit, and China’s Ningbo International Speedway and the Shanghai International Circuit. Organised by highly-respected and experienced pan-Asian promoter Top Speed, the new championship places focus on performance, safety and cost control, while Asia provides the ideal showcase for both local up-and-coming talent and international drivers looking to make their mark in the world’s most dynamic region. The new series also represents a substantial boost to the FIA driver development pyramid concept, designed to take drivers from Formula 4 to Formula 1. Formula 4 China, established in 2015, was joined by Formula 4 South East Asia the following year, and both are expected to be key feeder series for the new F3 Asian Championship Certified by FIA. The new FIA F3 International Championship is scheduled to make its debut in 2019, also following the single chassis, single engine format, and will provide the next stepping stone for Regional F3 drivers ahead of Formula 2 and ultimately – for the very best – F1. 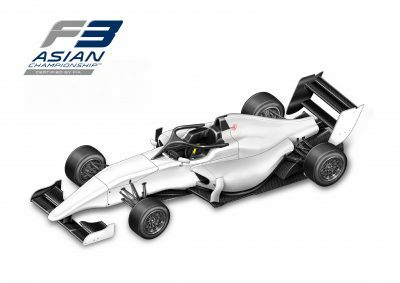 The Asian series’ F3 car will comply with the latest FIA specifications and feature a number of enhanced safety features including the new Halo device and improved side impact protection, and will have a six-speed paddle shift gear box. It will be powered by a single-make 270hp turbo engine, with the manufacturer to be announced in the coming weeks along with the chassis and tyre providers. Carrying FIA Super License points for the champion, the series will also include an AM Class and Team Championship. Established in 2008, Top Speed has played an intrinsic role in the rapid development of motorsport across Asian over the last decade. Providing a wide spectrum of services – from race organization and technical and logistical support to event and sponsorship management – Top Speed has played an integral role in series such as the Ferrari Challenge Asia Pacific, Lamborghini Super Trofeo Asia, Audi R8 LMS Cup, Asian Le Mans Series, Formula Masters Series and Scirocco Cup. Headquartered in Shanghai, Top Speed also has offices in Zhuhai, Hong Kong and Malaysia.